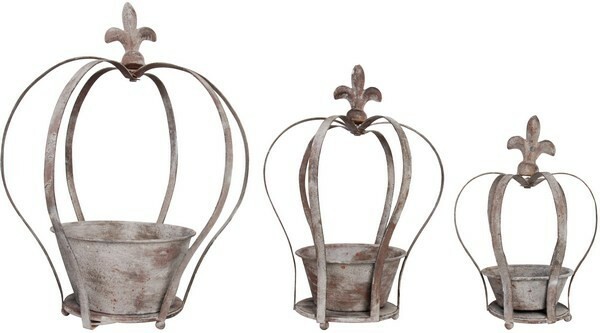 Set of 3 - Aged Metal Crown Planters. These beautiful planters will showcase any garden. The unique crown design will compliment the beauty of any plant. Planter Measurements: small - 6.9x5.9x8.7, medium - 7.9x7.5x10.5, large - 10.5x8.7x13.